Hi everyone! Hope you all had a lovely week and a fantastic Halloween night last week. We didn't do much but we did go to a friends house and we really enjoyed ourselves. It was great to see a lot of newbies joining us last week. I really do enjoy reading every single blog post that you all link up. Have a lovely weekend and week! Motherhoodtherealdeal shares What it's really like going through a divorce with young children - a very interesting post to read. Before you link up! Take a look at this ADORABLE photo from fivelittledoves. How adorable. 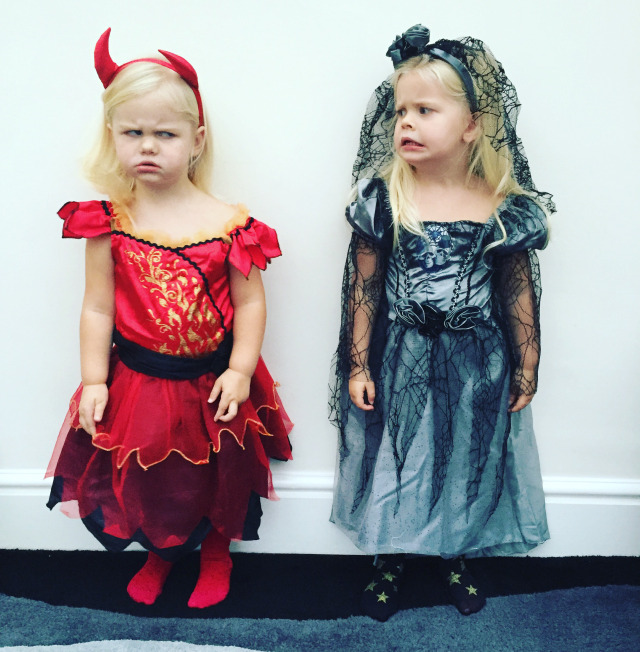 Take a look at her halloween post for more adorable and funny photos.